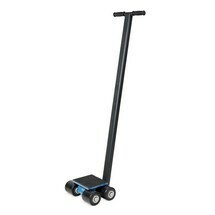 Do not be deceived by the size of the BASIC trolley; despite its low weight it can carry loads of up to 12,000 kg. Thanks to its compact construction and high-quality materials, you benefit from a robust product for transporting heavy loads. Transporting heavy loads and fixed objects is often a very complex and difficult task. 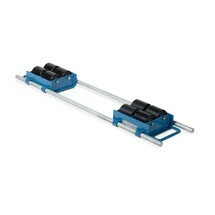 The BASIC transport roller was designed for this very purpose and serves as an extremely useful aid. 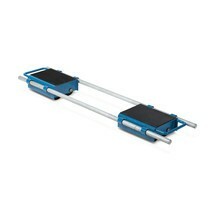 It can be rolled under the relevant load and supports weights of up to 6,000 kg. Transporting heavy loads and fixed objects is no easy task. 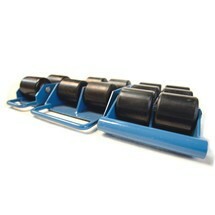 The BASIC trolley provides an effective solution to this problem. 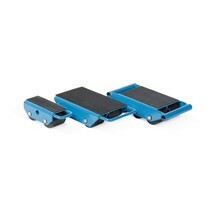 You simply slide it under the relevant goods for straightforward transport of loads weighing up to 24,000 kg.